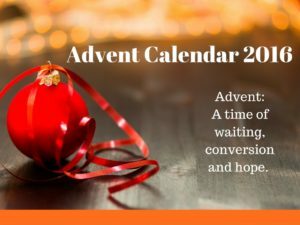 The online Advent Calendar for 2016 is now live. Click on the photo below to launch the calendar. Many thanks to the Catholic Communications Office of the Irish Bishops’ Conference for this fantastic resource.